Help the Smurfs Build Their New Home. Build your very own Smurfs’ village and create a new home for the Smurfs. The entire Smurf Family is here! Papa Smurf, Smurfette, Lazy Smurf, Baby Smurf, Handy Smurf, and Jokey Smurf. Use in-app purchase to speed up the growth of your crops and your blue village. While your village is growing, play multiple mini-games like: Greedy Smurf’s Baking Game, Papa Smurf’s Potion Mixing Game, Painter Smurf’s Painting Game, Lazy Smurf’s Fishin’ Game and a new free Handy Smurf minigame to unlock additional bonuses. 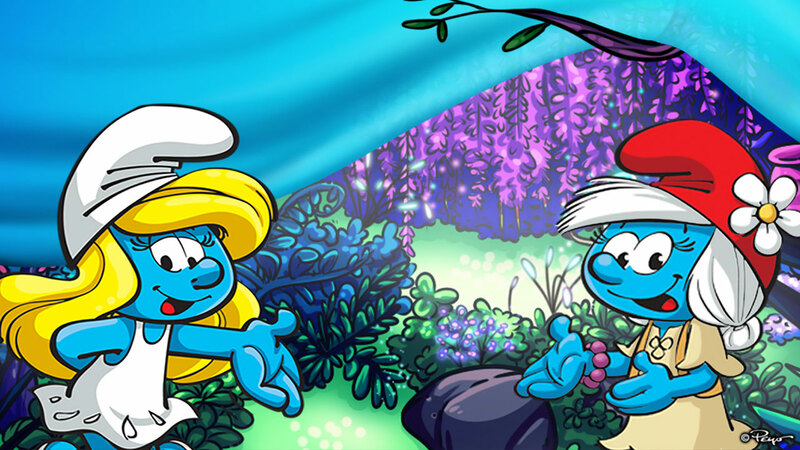 Share your Smurfs Experience on Facebook and Game Center and send gifts to your friends’ villages.